This was a great article written in the Times Free Press about our Christmas Decorating Services. I’ve reprinted the content below and picture above. Click Here for a link to the original story! Brandon Lewis looked on as one of his workers stood about 25 feet in the air, stretching from his ladder to just barely reach the peak of the roof he was stringing with Christmas lights. The job looked tough, maybe even dangerous, but Lewis and his crew are used to the risk. For most of the year, the decorators are hanging from ladders painting houses. But when Christmas season rolls around, the Painter Ready painters trade in their brushes and pails for lights and wreaths to work in the Christmas Ready division of the business. So rather than risk losing good employees to steadier work, Lewis decided to start his Christmas decorating business in 2010. He expects Christmas Ready will break even this year and hopes as the company gets more established in years to come it will turn a profit. Several Chattanoogans open temporary holiday-themed businesses starting mid-October to capitalize on the biggest spending season of the year. “The seasonal crunch — it’s like a roller coaster,” said Bob Eichelberger, who was working a Calendar Club kiosk at Hamilton Place Thursday afternoon. His wife has sold calendars and board games for years, but this is his first time helping her out. Business has been steadily building so far, he said, but he’s bracing for when that roller coaster reaches the top of its ascent on Black Friday. “After that it’s a thousand-mile-per-hour run to Christmas,” he said. Hamilton Place officials were unable to say how many temporary holiday shopping outlets they had, but Katie Reinsmidt, spokeswoman for CBL & Associates Properties Inc. which owns Hamilton Place and Northgate malls, said each has between 15 to 40 kiosks rented. Locally owned businesses also benefit from the holiday boom. Chris Thomas, executive director of the Chattanooga Market, said the weekends leading up to Christmas are the biggest markets of the year. In 2010, the thousands who strolled by the 120 to 150 holiday booths spent $150,000, and this year Thomas expects that amount to climb well above $200,000. And demand is growing. Thomas has hosted a holiday market for the past 10 years, but 2010 was the first he ever extended it two more weekends and moved it inside to Warehouse Row. That shopping center didn’t have enough space, so this year he booked 36,000 square feet in the Chattanooga Convention Center. That still left more than 50 vendors out in the cold, so next year he plans to roughly double his space. High pressure seems to be the name of the game when it comes to holiday sales. Heather Hale spends long days sitting at a Hamilton Place kiosk writing names and personalized messages on ornaments during the mall’s extended holiday hours. She and three other writers will have to work under the close scrutiny of impatient customers while they hunch over their desks, holding their faces inches from the clay and glass surfaces they spend all day printing on. She writes dedications for a lot of wedding anniversaries, baby’s first Christmases and occasionally an inside joke from a bachelorette party. Americans love a holiday, and they love to decorate for that holiday. While many companies provide services to decorate for a variety of holidays and seasons, most of them focus on decorating the interior of the home. These companies are very often interior designers. They can help make the interior of your home come alive with a festive spirit. However, there are some companies, like Christmas Ready, that focus on helping you decorate for the holidays primarily on the exterior of your home. We can help you visualize the focal point of your home and offer ideas to call attention to it, creating your custom display from that point and working outward. As we are writing out the design sketch for your home for our Christmas light installers, we make certain to move forward with an eye for symmetry and classic appeal. Christmas decorators like Christmas Ready can help you by providing ideas on your design and the products you select, but some of the biggest advantages to working with a holiday decoration service provider is the time you save, the expertise you get, and the peace of mind you receive from keeping your feet firmly planted on the ground. Christmas light installation along rooflines is a great way to set off your home and frame your display. Placing lights along driveways with stake-lighting and highlighting your homes central entrance with lighting, wreaths, garland, and bows gives a designer a central point to work from. Thereafter, thinking about framing windows, wrapping trees, or lighting foliage is a good thing to consider. When lighting your home for Christmas, it makes sense to stick with about two and at most three color combinations. Sometimes, a display can quickly become overwhelming to the eye. While white lights are certainly still the most popular, colored lights are making a comeback this season and sales are trending up for them. Lastly, installing Christmas wire frame sculptures or nativity scenes can really add a nice touch and make your display unique in your neighborhood. Companies characterized as Christmas Decoration Installers typically focus their efforts on installing Christmas decorations on the exterior of homes and businesses. 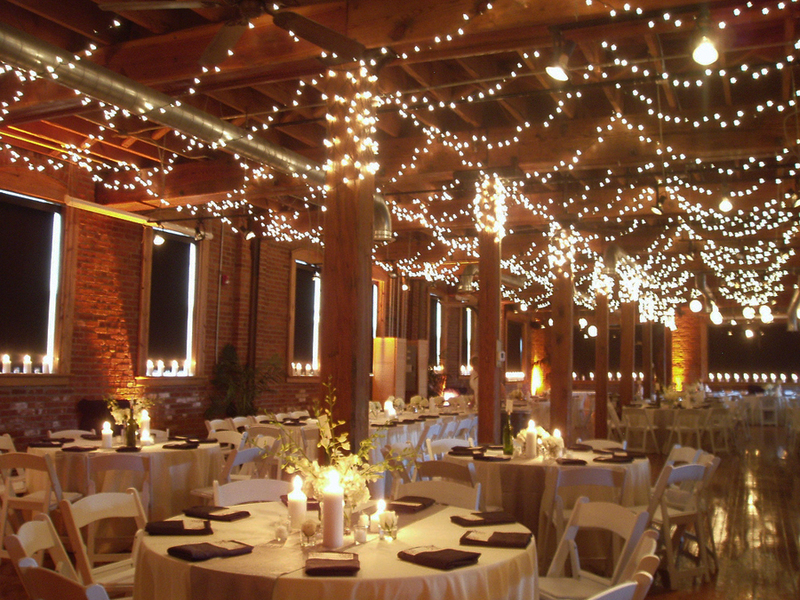 If someone is consulted regarding Christmas decoration installation on the interior of homes that is usually the domain of interior decorators, except in the case of large, lighted Christmas trees or the hanging of wreaths, garland, and other items that are in hard to reach places – such as cathedral ceilings. The items listed below add to the overall effect of a lighted display and create a unique character. Additionally, items like wreaths, garland, bows, ribbons, and nativity scenes can be seen during the day where Christmas lights that were installed are unnoticeable. Christmas decoration installers in Chattanooga enjoy a milder climate and do not have to combat the effects of freezing, thawing, and refreezing that can often create repair issues with lighted displays. Professional installation companies come prepared with all of the ladders, extension poles, and electrical equipment necessary to perform the project in an efficiently. If you would like a free quote on installing your Christmas decorations, please call Christmas Ready at 648-4408, or simply use our online estimate request form. 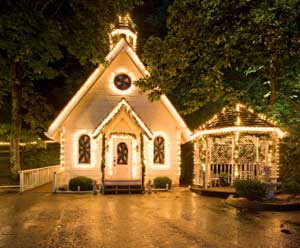 Christmas Ready professionally installs Christmas Decorations and Lighting in TN and GA, including Signal Mountain, Hixson, Cleveland, Soddy Daisy, Lookout Mountain, Rock Springs, Ringgold, Rossville, East Ridge, McDonald, Ooltewah, Harrison, Sale Creek, Apison, Dayton, Chickamauga, and Lafayette.